Residential Fee Property Management is a relatively young profession that has evolved greatly in the past ten years; some think that the next ten years will hold the most dramatic changes. This week's blog reviews the past. Next weeks' will discuss the Present, which really shows the trends developing that start painting the picture for the future. People in this country have been renting out their homes since shortly after the nation was formed. However, these were likely all self-managed. During WWII, efforts were shifted to manufacturing ammo, ships, and aircraft. As these factories grew, so did the demand for housing. During this time most were managed by government and commercial property managers, not residential property managers that manage homes and small multi-family buildings owned by others for a fee. In my opinion, the professional residential property manager emerged in the 1980’s. The Fee Residential Property Manager. High interest rates slowed construction and home sales, thus real estate sales agents found themselves renting out the homes they couldn't sell. These sales agents often grew up within the community and eventually formed “Ma and Pa” type property management companies using the trust and relationships they had previously formed. These fee managers didn’t have to invest in additional equipment, so there was no debt. The 80’s were traumatic times for the commercial apartment industry. In the early 80’s, the feds made some changes that made investing into real estate very advantageous. The S&L crisis resulted in the foreclosure of thousands of apartments. Perhaps it was these events that made investors consider single family homes as the less volatile investment. It was the late 80's that I saw my first info-commercial on how to make it rich by investing in rentals. I never bought the books or tapes and I never fell for the "pie-in-the-sky" marketing, but it did spark my interest and this is when I began my own research and financial analysis as I considered my first investment property. 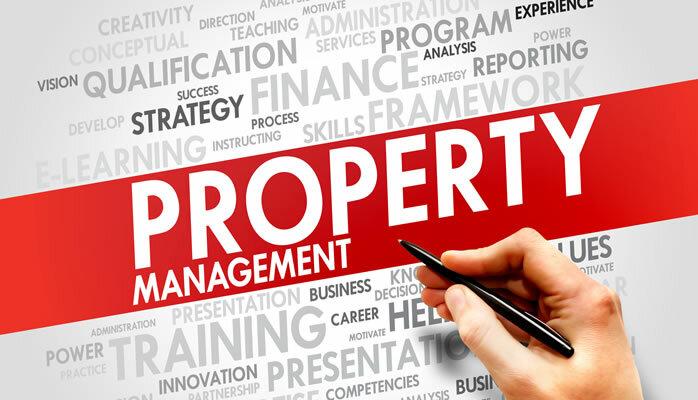 Residential Property Management becomes a profession. Until the 90’s most of the real estate management education and software was created for commercial and apartment management. In the 90’s we saw technology evolved from computers, to the internet, followed by websites, and software. In the early 90’s computers became affordable enough that most homes and businesses had one. This is also about the time that Al Gore says he invented the internet. The internet helped spawn the creation of websites. And finally, we saw software specific to residential property management along with other programs that helped with accounting, databases, and scheduling. Also, most property management companies didn’t have employees and managed fewer than 100 rental units. For those, like FRPM, who armed themselves with the education and technology available developed and grew into professional residential property management companies that began to outgrow the Ma and Pa managers. Websites gave these new companies an advantage over competitors and self-managed Landlords. The residential management software gave them the tools to be more organized and efficient. Companies and portfolios grow. Professional residential property management companies continued to grow as they adopted technology and gain more education. The part-time real estate sales agent was losing market share to people with formal business educations and experience. When I graduated with my degree in Operations Management in 1993, I was already an investor, but had no idea I would become a professional property manager. I couldn’t have asked for a better degree to prepare me for this industry. My classes included Procurement Management, Accounting, Managerial Accounting, Finance, Organization Management, Personnel Management, Statistics, Quality Engineering, and Process Management. I was able to use my education to standardize and streamline processes that improved quality and efficiency within my business. Until this decade it was rare for a residential management company to be managing over 1,000 rental units. Success began to be measured by the number of doors managed. Some companies created sales forces dedicated to growth and securing more properties to manage. I believe the first residential property management franchises were created in this decade. With size and the ability to scale now playing an important role, companies began to incur debt. Some companies obtained financing to buy-out some of the “Ma and Pa’ property managers. FRPM continued to remain debt free and grew organically and never considered buying other companies. Next week we review current market trends and how they are shaping the future. Institutional investors know where the industry is headed, at least for them. I think the typical residential investor has no idea what is going on and what it is leading to. Thankfully, Idaho's culture is conducive to small business and I think we will differ from many states.